UNHCR 2015/ S.A. Jefferies / A Sudanese father and refugee provides biometrics during registration in Goz Amir camp, Chad. Earlier this month, ID2020 (in association with Accenture) and UNHCR brought together representatives from government, public, and private sectors at the World Food Programme Innovation Accelerator in Munich. The multi-stakeholder group discussed digital identity opportunities, and specifically potential pilot projects, for refugees, forcibly displaced and stateless persons. Sixty-five million people — the highest number seen in decades — are displaced due to conflict, drought, famine, and other factors. The root causes of forced displacement are often deeply stressful and refugees may not have the time or opportunity to obtain or locate essential personal documents before fleeing, leaving them disproportionately undocumented. Furthermore, many refugees who come from marginalized and hard-to-reach communities may have never been registered or issued with identity documents. Similarly, paper-based credentials are likely to be lost or destroyed during displacement. For the millions fleeing persecution, relying on governments to authenticate their identity, or provide them with necessary credentials, can be unreliable and often dangerous. Without valid identification documents from their country of origin, and removed from communities that could provide informal confirmation of identity, refugees and other displaced persons often find themselves without any officially recognized source of identification. This lack of recognized identification deprives them of protection, access to services, and basic rights. The Sustainable Development Agenda (SDG 16.9) supports the goal of legal identity for all by 2030, and recognizes its critical importance for the world’s most vulnerable people. On October 2, 2017, the United Nations High Commissioner for Refugees, Mr. Filippo Grandi, announced his vision for a digital identity for all refugees to increase their empowerment, inclusion, and protection, whilst also strengthening accountability and efficiency in humanitarian programme delivery and preventing and reducing statelessness. UNHCR’s leading role in the workshop solidified this commitment, and will be a key step towards operationalizing it. Inclusion in digitized Civil Registration and Vital Statistics (CRVS) and national identity systems can help to both protect and empower refugees and realise SDG Target 16.9. Refugees, other forcibly displaced persons and the stateless are often left out of the CRVS and national identity systems of the countries in which they live. The births of their children are not registered and they are not issued documentation by host governments. This lack of legal identity prevents access to both public and private services, increases the risk of statelessness, and inhibits effective state planning. 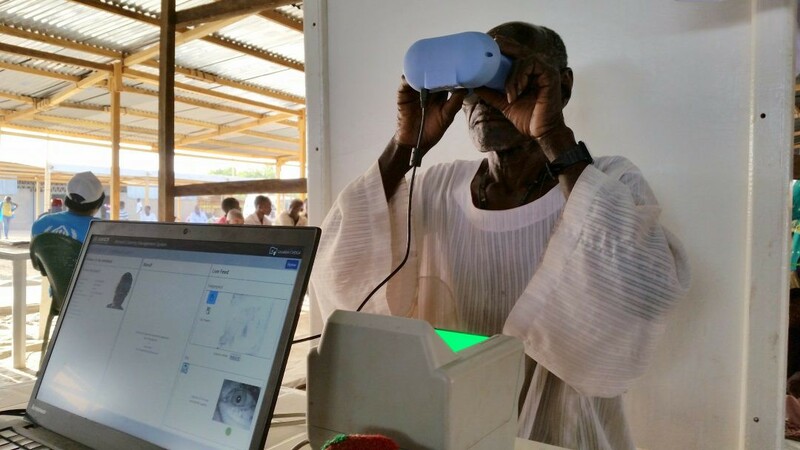 The increasing digitization of CRVS systems may exacerbate exclusion by preventing access to the predominant registration system, and as a result other services that are dependent on digital CRVS registration records. Where data protection and privacy standards are met, a broadly recognized digital identity system benefits all stakeholders. A digital identity can facilitate access to essential services, aid countries in distribution of social benefits, and open up formal financial tools to the world’s 2 billion unbanked people. Furthermore, accurate systems of identification are necessary for accountability and governance, and to help ensure that development aid and protection is directed to those most in need. For refugees and people who are not fully included in state identity systems, a portable digital identity system can be a step toward regaining their identity, providing them with self-reliance opportunities, and improving their participation in the social and economic life of their host community. But critically, individuals should have agency over their own identity and associated data, with the ability to choose what to share and with whom. Under current systems where personal data is siloed and owned by individual organizations, people are unable to move seamlessly between organizations, and they have little control over how their data is used. In contrast, individual ownership of this data can simultaneously increase privacy protection, limit exposure to potential harm, and facilitate interoperability. For the benefits of a digital identity to be realized, an identity must be broadly recognized by both the public- and private-sector organizations with which an individual may interact. While this is partly a question of technical interoperability across both organizational and geographic borders, it is more so a question of ecosystem and governance. A multi-stakeholder approach brings together diverse stakeholders to jointly address these technical and non-technical questions. The collaborative, iterative development of digital identity technology ensures that the technology developed is relevant, secure and sustainable. And through transparent governance and the provision of sustainable financing for interoperable identity systems, this model aligns the diverse incentives of various stakeholders in the identity ecosystem. Moreover, the approach creates a “network effect” and opens up opportunities to piggyback on the systems and processes that public and private organizations already have in place to reach people, driving adoption at scale and across diverse use cases. Ultimately, this model is a virtuous circle both public and private organizations are able to connect to the people they want to reach, namely their customers, their beneficiaries, their employees. And through forging that connection, individuals will have a means of identifying themselves, which better serves them. Concurrent pilot projects with various partners will provide the strongest foundation for scaled-up implementation. During the two-day event, participants discussed potential in-country concrete applications of digital identity, with the intent to run a series of concurrent pilot projects with multiple partners in 2018. This will allow all actors involved to assess multiple implementation pathways and demonstrate interoperability between systems. Comparative learnings will also inform an approach that empowers the end user and adheres to data protection and privacy standards. These pilots will provide the information and technical, regulatory and political testing grounds necessary for efficient scaled-up implementation and will also ensure a participatory approach, including refugees and other forcibly displaced persons, at each crucial stage of the process. This is an opportune time to shape a new world where people are empowered and where new solutions can help alleviate both age-old and contemporary problems. Developing a sustainable digital identity for refugees, other forcibly displaced persons and the stateless will help them access all the new opportunity provided by the digital era. This is a shared responsibility that can only be implemented through the concerted action of government, the private sector, UN agencies and the civil society. Originally published at id2020.org on November 29, 2017. An alliance committed to improving lives through digital identity.